Nearly 800 million Facebook users are connected to a public figure on the network and more than 1 billion interactions are created as a result. 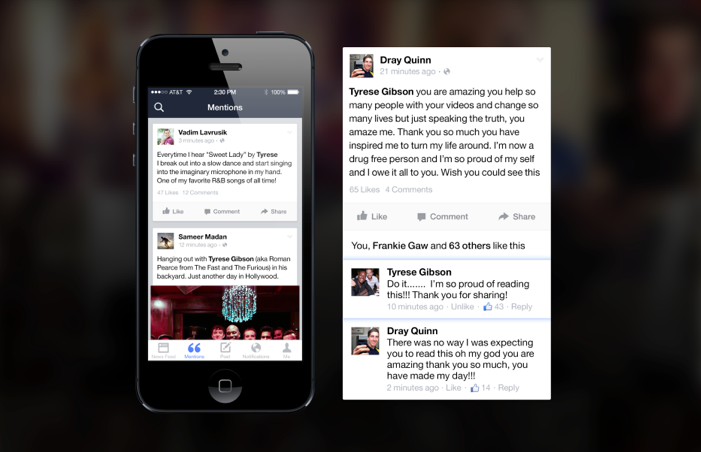 In order to make it even easier for figures and fans to connect, Facebook Mentions have been launched. Figures will be able to see who is talking about them, host live Q&As and receive more streamlined notifications around their mentions away from their own pages. A week after AirBnB were accused of ballsing up their logo (sorry) Foursquare revealed their all new offering. It’s altogether more SFW – a rep says it represents a “mix of a pin and a superhero emblem”. Is Instagram Trying To Compete With Snapchat? 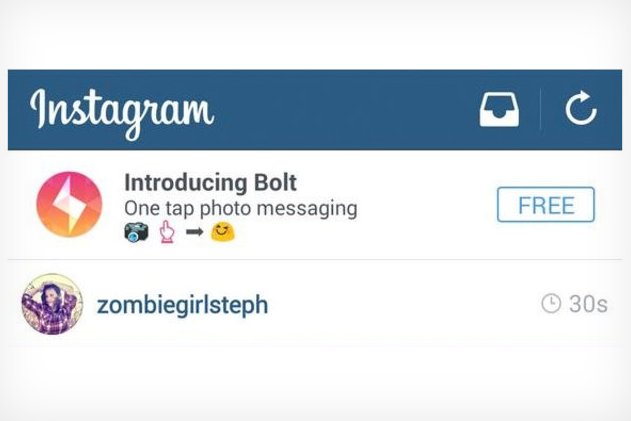 If a leaked image is anything to go by then maybe – several users have seen a “one tap photo messaging app” Bolt inside Instagram for Android. Instagram are yet to make a comment – some have already speculated that Bolt might be a fictional app being used to test “app install ads” inside Instagram. Facebook has launched a feature for iOS, Android and desktop that allows users to store links from your News Feed and Facebook pages. The function doesn’t cache content but should give us a quick and easy way to find our favourite content without interrupting usual newsfeed consumption. It’s already rolling out and interestingly will remain completely private to each user unless they choose to share. 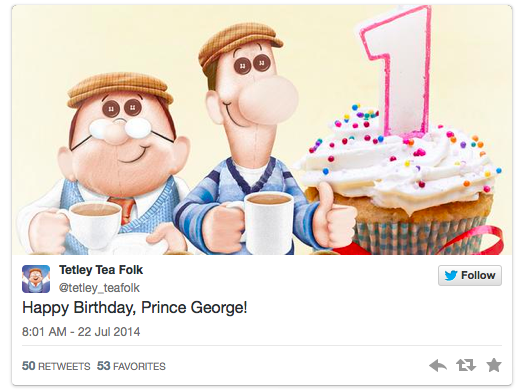 A busy week for Prince George with all eyes on his first birthday (and first steps). Naturally brands wanted in on the action – take a look at some of their efforts here. 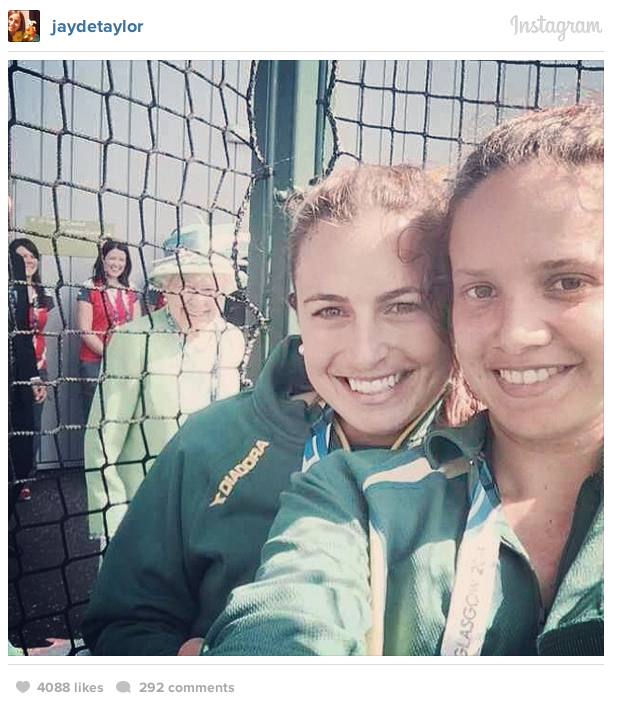 George wasn’t the only Royal to be in the news this week – a selfie taken by two members of the Australian hockey team went viral when fans spotted HRM smiling in the background. Best selfie ever?